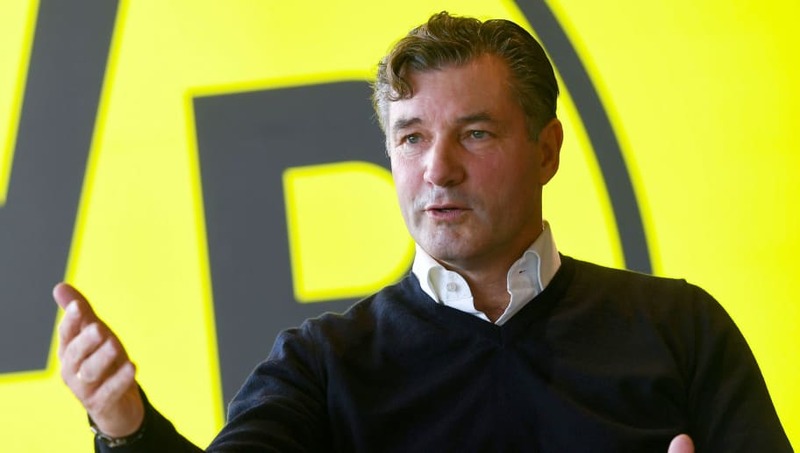 ​Borussia Dortmund’s technical director Michael Zorc has vowed that the Bundesliga will continue to provide opportunities for young English players who struggle for chances in the Premier League. Die Borussen set the tone for a growing trend in German football when they signed Jadon Sancho from Manchester City for £8m in 2017, with the young Englishman going on to establish himself as a first team star, playing 27 games at the Westfalenstadion this season. The likes of ​Everton’s Ademola Lookman, ​West Ham defender Reece Oxford and ​Arsenal prospects ​Reiss Nelson and Emile Smith Rowe have also turned to the Bundesliga for similar opportunities. As quoted by the ​Telegraph, Zorc said: “The biggest advantage – and it is what young boys are looking for – is that they have the chance to play. “And because of this difference in money to spend on players then maybe the German teams are a bit more forced to give these younger players chances to play. “We scouted Jadon for the first time in August 2016, one year ahead of when we signed him. We mainly watched him for his matches with the Under-17s of England and of course when he played for ​Man City in the youth league games. “[Borussia] Monchengladbach played [City] in this season. You could easily recognise his outstanding talent. And therefore it was very easy. “We just say there is the opportunity for you. It’s very easy just to show the team-sheet and look at how many players, 20 years and younger, are playing in our team each Saturday. Asked about the prospect of Brexit having an impact on trade in terms of young British-based players moving to the Bundesliga, Zorc added: “I don’t know. Do you know? Callum Hudson-Odoi looked set to become the next English youngster to make the switch to the Bundesliga in January as Bayern Munich made a series of bids for the ​Chelsea prospect, though the Blues ultimately blocked the forward’s move last month. ​Dortmund lead the way at the top of the Bundesliga table, though Lucien Favre’s side conceded ground to second-placed Bayern Munich on Saturday. Die Borussen were held to a 3-3 draw at home to Hoffenheim on Saturday, whilst the Bavarians beat Schalke 3-1 to narrow the gap at the top to five points.